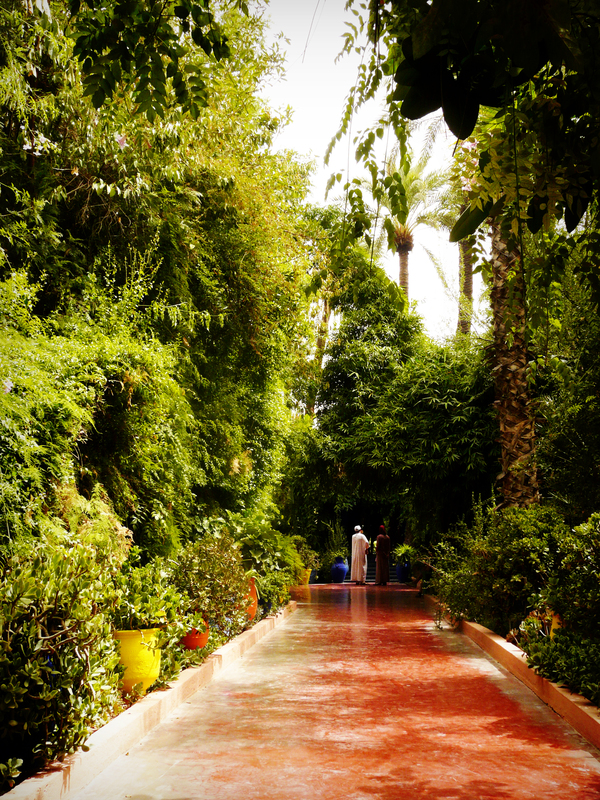 We recently came back from a much needed holiday in Marrakesh. 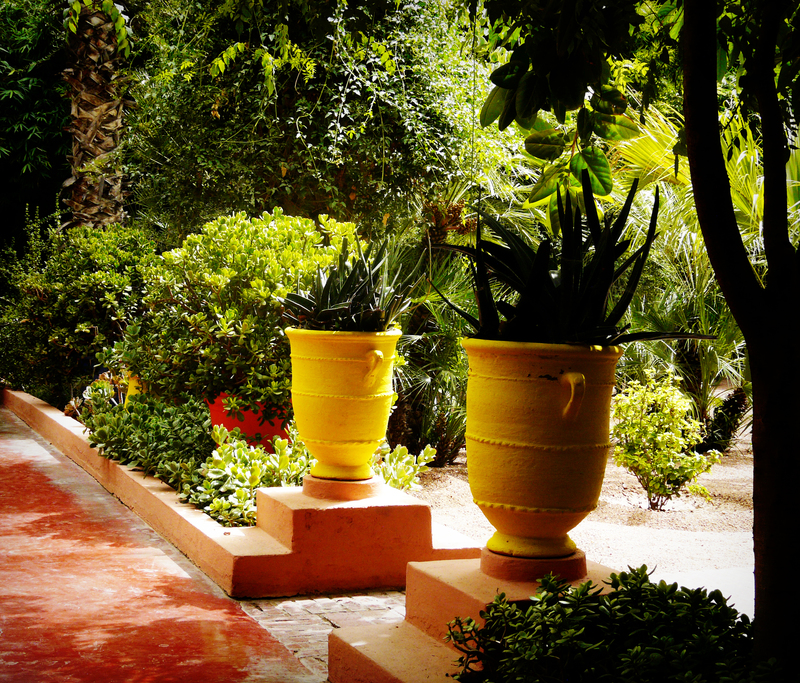 Whilst there we visited the Jardin Marjorelle, a beautiful garden just on the outskirts of the main town centre. It is otherwise known as the Yves Saint Laurent garden due to the work he did throughout his life to save and restore these gardens. It is a stunning place and we took plenty of photos to bring back home for inspiration (although the chances of us recreating a northern African environment in Yorkshire are very slim). 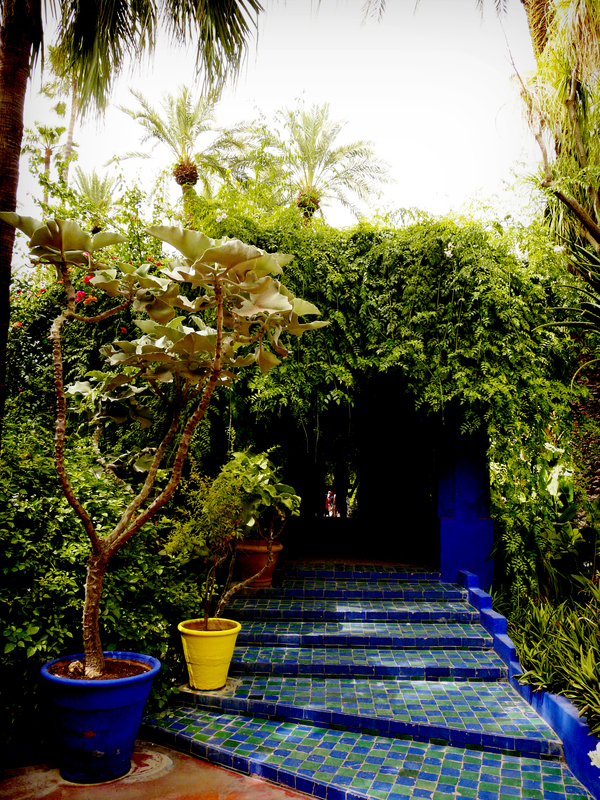 The gardens were originally designed and built by Jacques Majorelle, a French painter who fell in love with Marrakesh in the 1910’s. 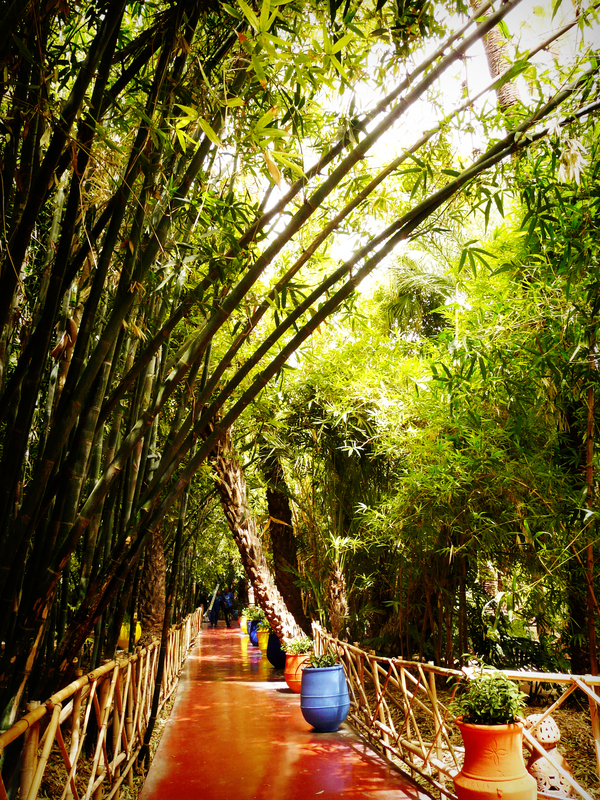 Majorelle bought a four acre plot of land in 1923 and started work on the gardens. Gradually buying up more land as time went on. In 1947 the garden was opened so the public could visit for a small fee. A divorce and financial troubles followed and parts of the original garden were divided up and sold off. 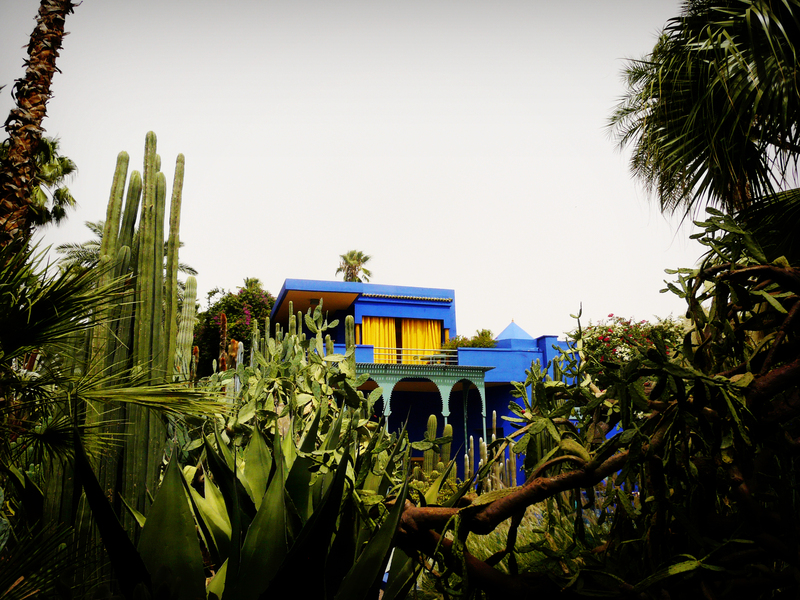 Jacques Majorelle died in 1962 leaving the fate of the gardens uncertain. Abandoned, it fell into disrepair and gradual ruin. In 1956, before the death of their original owner, a young fashion designer and his partner had discovered the gardens and fallen in love with them. This would eventually lead to the gardens ultimate salvation. We quickly became very familiar with this garden, and went there every day. It was open to the public yet almost empty. 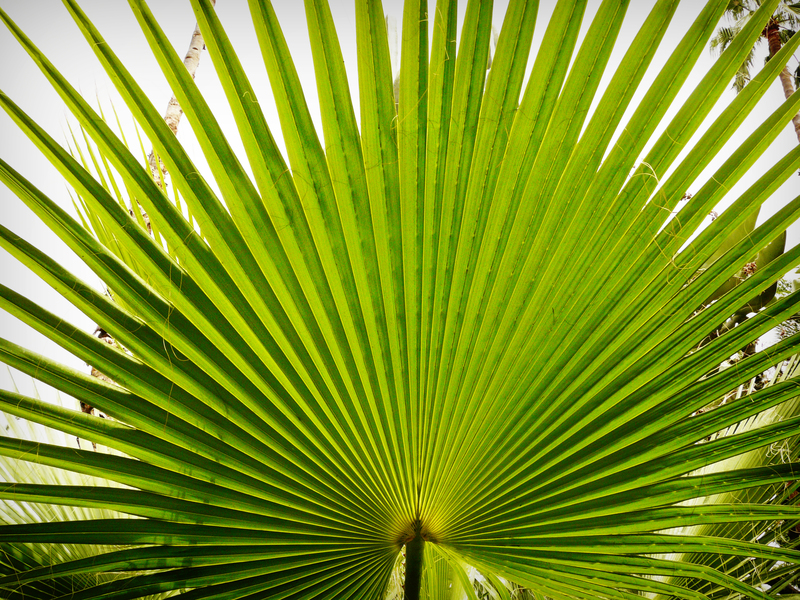 We were seduced by this oasis where colours used by Matisse were mixed with those of nature. 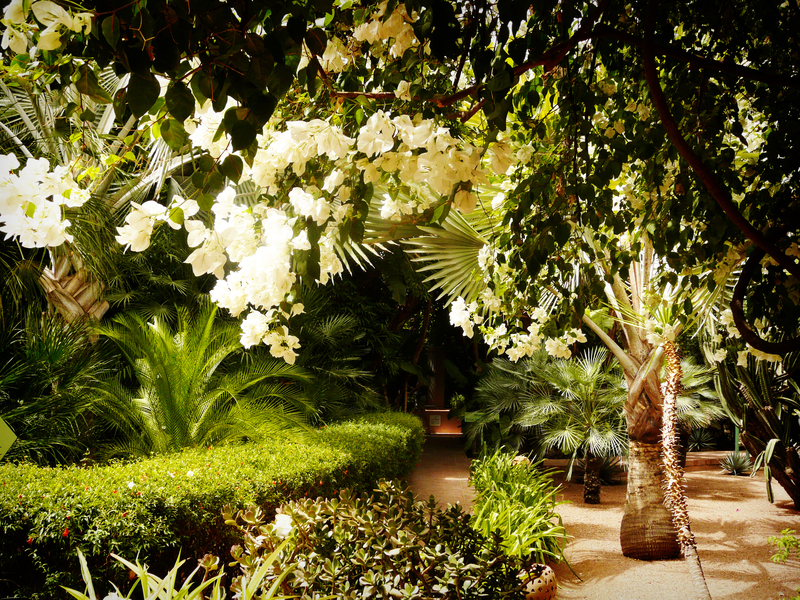 Yves Saint Laurent and Pierre Bergé heard that the gardens were going to be turned into a hotel complex and in 1980 they bought the land in order to save and restore them. 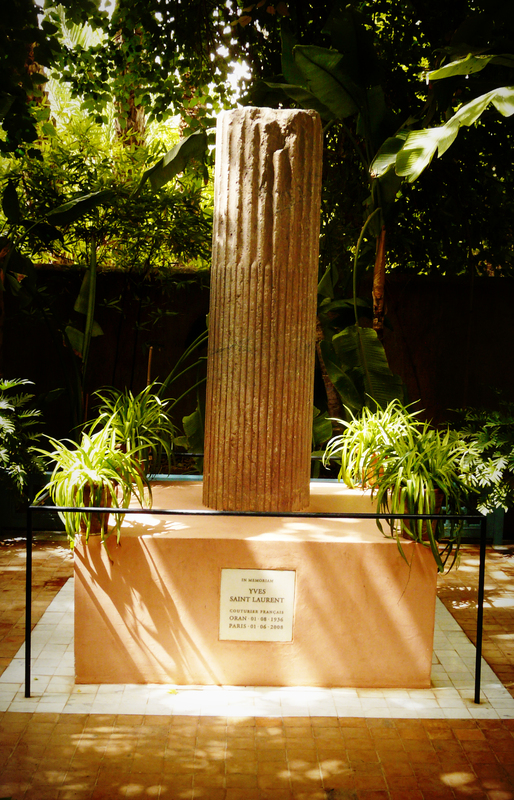 Since Yves Saint Laurent’s death the gardens have been donated to the foundation which bears his name. His ashes are scattered within the garden. The gardens themselves are truly beautiful. 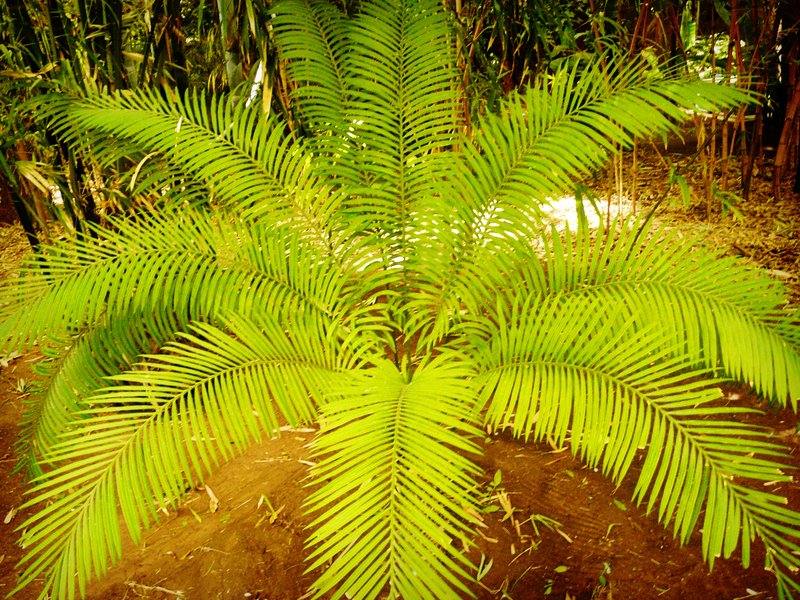 At times it feels like you could be in a rainforest then a second later you’re in a desert. The buildings are painting a deep cobalt blue known as “Marjorelle blue” and all along the paths are pots painted in rich primary colours. The garden itself covers nearly two and half acres and is incredibly tranquil, especially compared to the chaotic streets just beyond its walls, you can see why it was so favoured by the artists who built and rebuilt it. 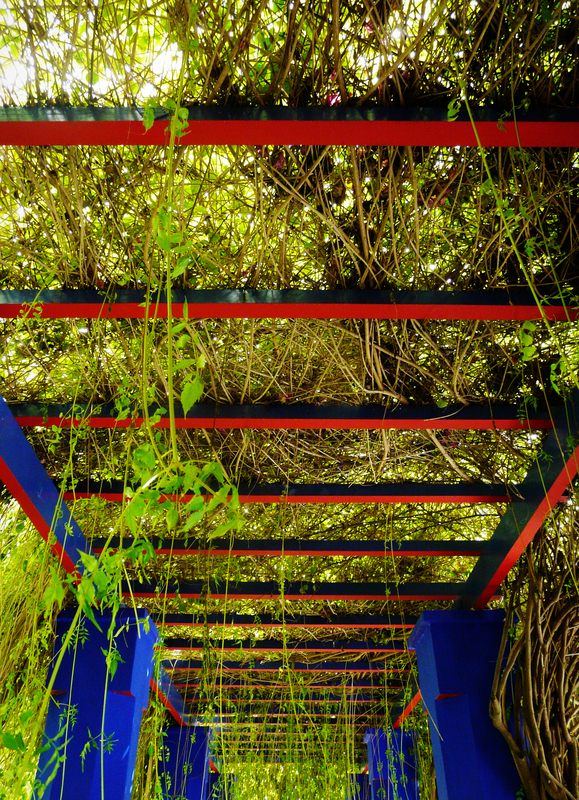 My favourite part of the garden was a covered walkway (see below) with its living canopy. I have an incredible soft spot for climbers to begin with so this is pretty much my idea of gardening perfection.